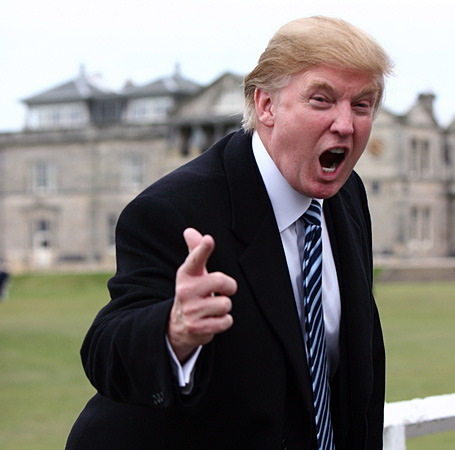 The Donald announced today that he will not be running for President. Let's be serious peeps. Who ACTUALLY thought that he was going to really do it? The fact that the talk about it was going around while his lame-o Celebrity Apprentice show was airing should have been the first of many indicators that this was a big PR ploy. Either that or he has been extremely high for the past couple of months and the drugs are just now wearing off and it's back to reality. Plus, the man runs the ho-Pageant, Miss Universe. After Toddlers and Tiaras there is no way sane Americans would vote for him. In other news...actual politician Mike Huckabee who was thought to be one of the front runners of the Republican party has also said that he will not be running in 2012. No word yet if Sarah Palin plans on ruining the Republican party for the second time in 4 years.